← If You Made a Career Change that Didn’t Work Out, Do You Give Up or Not? 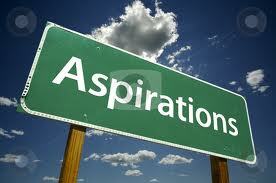 We have all started our careers with big aspirations and then for various reasons along the way we had to settle. Things may have not progressed as fast as we would like, or we simply had to put our career on hold in return for a decent wage and security. For some people, this is ok because their priorities have changed. Others though continue having ‘what if’ thoughts. It is never late to re-ignite your career! Be clear about what you want to do. Do you aim for a bigger job in the company you work? Do you want to make a career change? Do you want to become self-employed? This step is the one that most people find most difficult to define. Stop thinking and start doing. Don’t procrastinate for too long. If you are not 100% certain, take small steps. Get the opportunity to be involved in interesting project at work, volunteer for a relevant initiative a few hours per week , start a course that will up-skill you , meet people in the field you would like to get involved. Then reflect on the experience. Is it what your are looking for? Be confident. Think what skills and experiences you need to go to the next level and develop a plan how to get them. Eliminate thoughts like ‘I am not good enough’. Focus on what you need to do to become good enough. Go for small wins first. The most common mistake that people do is that they expect too much too soon, they often get disappointed and give up prematurely. Have realistic expectations and keep trying. Let luck to play its role. There is not substitute of hard work. However, don’t underestimate the power of luck. It can manifest in many ways: you may move to a field that is growing, you may meet people who can introduce you to the right contacts, etc. The bottom line: If you had put your career aspirations on hold and you now feel you want to re-ignite your career, go for it. It is never late. Have you gone through this type of experience? If yes, what were your learnings? Korina Karampela is the founder of b4iapply, author of 2 books, and speaker. She is a senior executive in the pharmaceutical industry and has an MBA from MIT Sloan. Her b4iapply blog is recommended by The Guardian for professional development. This entry was posted in b4iapply for a job, Career Advice, Career Change, Professional development. Bookmark the permalink.